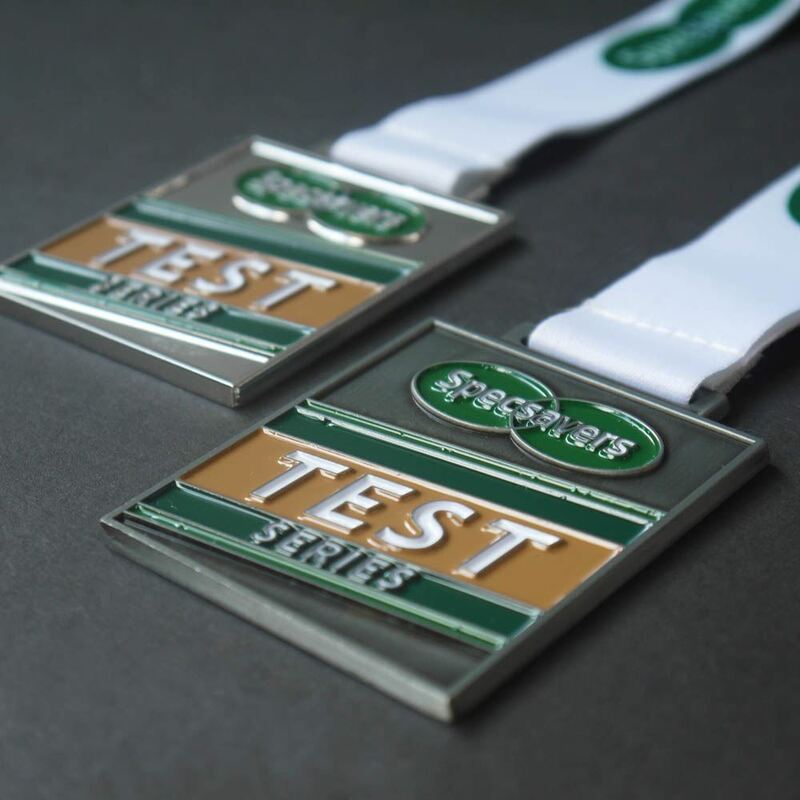 Distinctive Rectangular medal die struck on the front with the Specsaver logo and test series text and engraved on the back with match details. Made in a polished and antique silver finish for winners, Runners Up and officials. Finished with a bespoke printed medal ribbon. Distinctive Rectangular medal die struck on the front with the Specsaver logo and test series text and engraved on the back with match details. Made in a polished and antique silver finish for winners, Runners Up and officials. Finished with a bespoke printed medal ribbon.